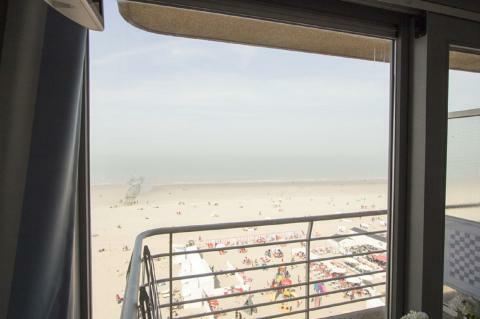 Holiday Suites Appartementen Blankenberge in Blankenberge - the best offers! Appartementen Blankenberge is a centrally located apartment complex in the Belgian seaside resort Blankenberge. Take a long walk on the beach and breathe in the salty sea breeze. This price applies to 2-person apartment 20 + Zonnezijde, with the arrival as 6 May 2019, 2 Nights. This price applies to 2-person apartment 21 + Zeezicht, with the arrival as 1 May 2019, 2 Nights. This price applies to 4-person apartment 40 + Zonnezijde, with the arrival as 6 May 2019, 2 Nights. This price applies to 4-person apartment Penthouse, with the arrival as 22 April 2019, 2 Nights. You can cancel for free to 15:00 hour 30 days before arrival. In case of cancellation to 15:00 hour 14 days before arrival 50% of the booking will be charged. In case of cancellation to 15:00 hour 7 days before arrival 75% of the booking will be charged. In case of cancellation from 15:00 hour 7 days before arrival the complete amount of the booking will be charged. Appartementen Blankenberge is a centrally located apartment complex in the Belgian seaside resort Blankenberge. Enjoy the sun, sea, sand and a whole host of activities. Take a long walk on the beach and breathe in the salty sea breeze, or try out your luck at the local casino. 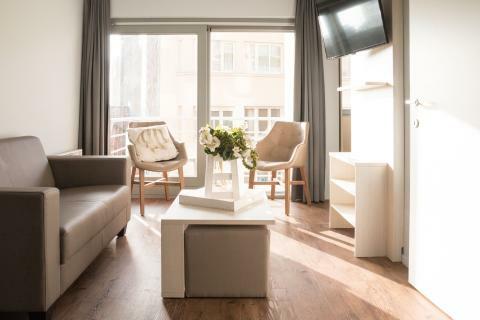 The comfortable apartments at Appartementen Blankenberge are fully equipped with a TV, a balcony with garden furniture and a bathroom with a shower and toilet. 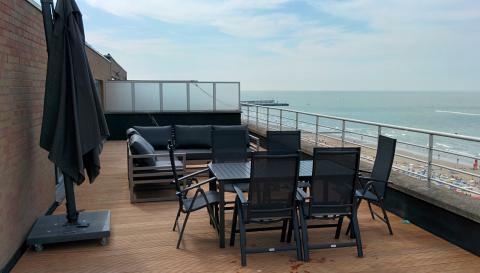 The apartments feature either sea views or views of Blankenberge. 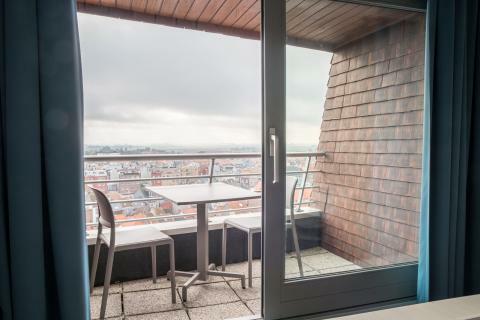 Appartementen Blankenberge does not have its own restaurant, but Blankenberge offers a wide range of choices. On the promenade, you will find many restaurants serving fresh seafood. Don’t leave without trying Flemish fries or delicious mussels! In Blankenberge you can spend hours shopping, gaming in the casino or visiting the underwater world of Sea Life. During summer, a night in Het Witte Paard cannot be missed. Here you can enjoy a summer calendar of musical shows, theatre, comedy and much more. A trip to the medieval city of Bruges is also not to be missed while you’re here.